With some sputters and starts, California’s education leaders have been making progress on a redesign of the state’s school accountability system. Now, just as a blueprint for this remodel has started to emerge, the federal government has thrown California a curveball in the form of a new federal education law. Not that this should come as a total surprise: after all, Congress had been making shaky but undeniable progress on the Every Student Succeeds Act for months. But now that Republicans and Democrats have finally agreed how states ought to hold schools responsible for student performance, our state leaders may need to redraw a few elements of their plan. How, exactly, does the new law affect California education? At first blush, it’s easy to conclude that the nation has followed California’s lead. After all, others are finally recognizing what we’ve been saying for years: We need multiple measures to hold schools accountable, not just test scores. We need more local control. But a closer read reveals that it’s not so simple. Despite the hype suggesting that the law returns all control to the states, it includes some clear conditions. These requirements should prompt California to address some of the gaps in its current reform plan: getting more transparency into how well schools are performing; setting ambitious goals that close achievement gaps; and offering greater protections for vulnerable students. If California is willing to make real-time course corrections in response to these requirements, educators and parents can anticipate a single, meaningful accountability system that does not conflict with federal law and policy as it has in the past. But getting there means wrestling with some sticky issues, some of which our education leaders have been stepping around for years. First, the new law tells states that they must “meaningfully differentiate” between schools using multiple measures. Multiple measures will be no sweat for California, which has already moved toward a system that includes not only test scores, but also measures of school climate and student engagement. But the “meaningful differentiation” part is sure to make some folks very nervous – especially since the new law calls on states to single out three groups of lower-performing schools. This discomfort might be a good thing: it will push our state leaders to decide how our efforts to gauge performance based on multiple measures translate into an overall assessment of how well a school is serving students, including each subgroup. In today’s information age, parents are accustomed to navigating through mounds of data. But data alone won’t tell them whether their schools are doing a good job. Parents often tell us that they want an at-a-glance summary of how their schools are doing, and the assurance that someone in authority has given their child’s school a stamp of approval – or not. Second, the new federal law demands that states set goals for, at minimum, academic performance and graduation rates. These goals must be “ambitious,” “multi-year” and “statewide” – the latter ruling out the inclusion of measures set by local districts in the state’s accountability system. Also, the law demands that states make steady progress toward these goals and close gaps for lower-performing student groups. These requirements might be a challenge for California, but one that many equity advocates will welcome. Of late, our state board of education has avoided setting clear or ambitious goals, considering instead a complicated model that would measure how each school and district is performing and improving relative to state averages. This model suggests that a district performing in the middle of the pack – for example, one that graduates about 83 percent of its students, with no forward or backward progress – would escape scrutiny. Further, we will have to acknowledge closing gaps demands faster – not just average – progress for groups that have been historically left behind. Third, and perhaps most confounding, California will have to figure out how to comply with the law’s requirement that states identify and monitor the bottom 5 percent of Title 1 schools, and any high school graduating fewer than two-thirds of its students. In California, this amounts to 500 schools. Since adopting the Local Control Funding Formula as its school finance system, California has embraced a system of local control that hinges on the state monitoring county offices of education, counties monitoring districts, and districts monitoring schools. Nowhere in our current framework is there space for the state to get involved in an individual school’s business. While the newly formed California Collaborative for Educational Excellence can probably provide some schools with assistance, support is not – nor should it be – interchangeable with monitoring or intervention. The easy reaction is to say that the federal government doesn’t understand the California context. We’re too big. We’re too diverse. Yet, however difficult it will be to resolve this tension, ESSA introduces a much-needed focus on school-level success and guarantees that if a school is not doing well overall or for any subgroup of students, someone must act to improve it. California is rightly focused on broadening its definition of school success and offering districts and schools the ongoing supports they want and need to succeed. Now, our state has the opportunity to pair these investments with the assurance that it will provide clear, concise information on how schools are doing, monitor progress toward ambitious gap-closing goals, and demand a high-quality, equitable education for every student. Here’s hoping “The California Way” doesn’t get in the way of common sense and fundamental protections for our neediest students. 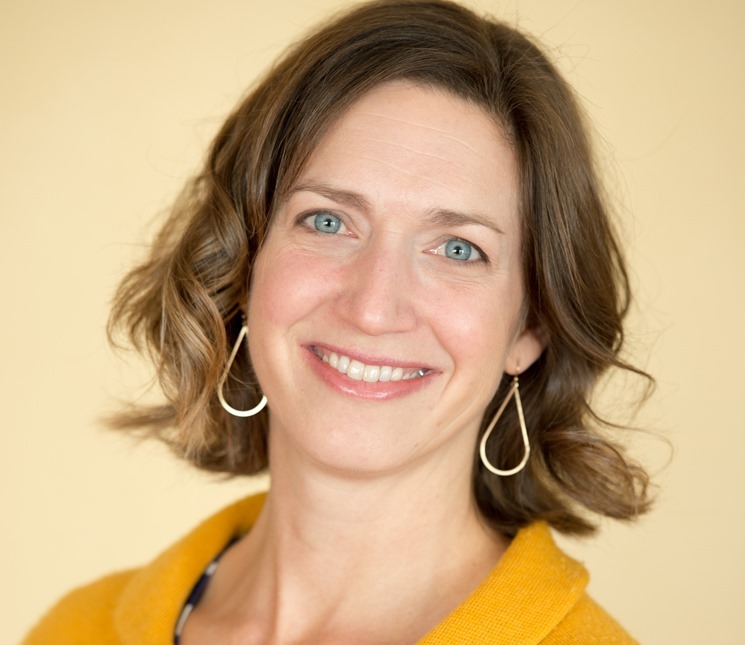 Carrie Hahnel is Deputy Director of Research, Policy, and Practice at The Education Trust–West.